The stunning setting of Ballyfin House. Unparalleled world - Ballyfin House. 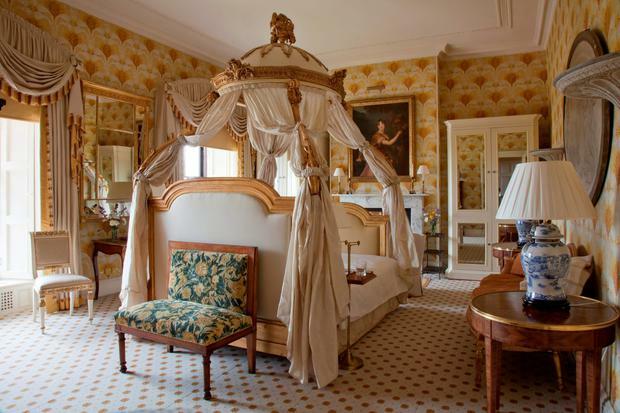 Pure indulgence: One of the rooms at Ballyfin House. 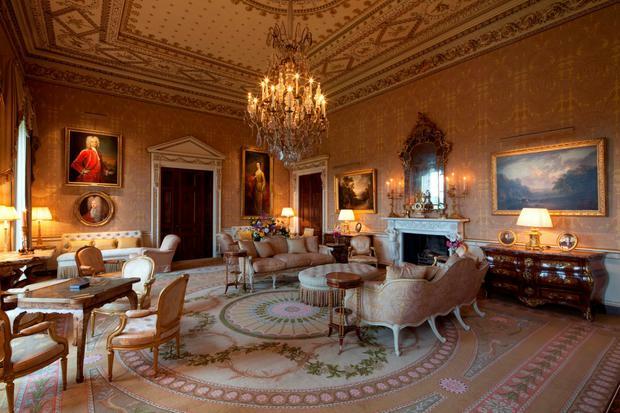 Be sure to take time to explore the demesne of Ballyfin House. The immaculately restored Ballyfin Demesne could make the ultimate Valentine's Day treat, says Aoife Carrigy. From the moment you roll up the winding driveway of this 600-acre estate in the Slieve Blooms' wooded foothills, you know you've arrived into an unparalleled world. And that's before the welcoming committee whisks your car and luggage away to park and unpack and settle you in with pre-lunch refreshments in one of the dazzling reception rooms of the exceptional Regency mansion. For singular period luxury infused with warm Irish hospitality, impeccable attention to detail, a rare sense of romance and a kaleidoscopic snapshot of history, Ballyfin in Co. Laois is peerless. But if you have something to celebrate - or a special question to pop - there may be nowhere better on the isle than this AA Red Star property... last year, readers of Conde Nast Traveller voted it the world's No1 hotel. 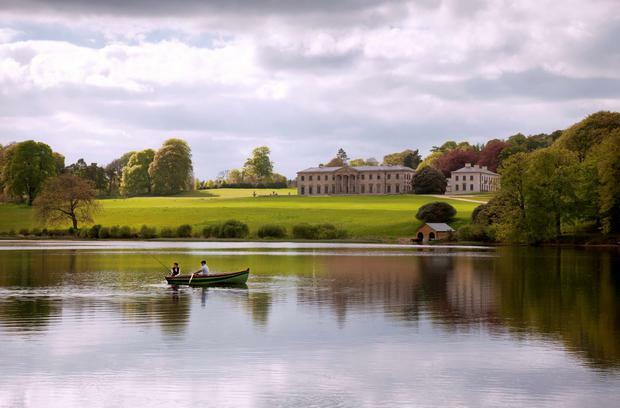 However you choose to spend your time in Ballyfin house or demesne, just being here is a pure indulgence. But if you're looking to up the ante, all the usual spa treatments and estate activities are offered alongside several unusual ones (such as a costume department to indulge Downton Abbey-inspired fantasies). And if a proposal is on the cards, management can suggest a number of charming settings, from dinner á deux in the intimate Porcelain Room to champagne atop a medieval-style tower (built as a folly in the 1860s) to a candle-lit trail to a choice of mossy grottoes where a storyteller can spin a romantic tale before slipping away and leaving you in secluded privacy. At Ballyfin, simple pleasures are elevated to treasured moments: sipping tea from Fabergé china in an original Turner conservatory; spotting wildlife in native woodlands; whiling away a sunny afternoon boating or fishing the lake, or a rainy one in the 80-foot, wood-panelled library. An unmissable house tour spotlights thrilling details of the 1820s mansion, its art collection (including Irish modern masters such as Jellet and le Broquy) and the fascinating personalities behind its rise, fall and resurrection. Dining is now available to non-residents on a limited basis (from €105pp for three courses, with a max. of six extra guests per evening). Arrive from 5.30pm to soak up the opulence before cocktail hour from 7pm. The menu features carefully sourced Irish ingredients fashioned into classic pairings with imaginative twists, served with theatrical flair in a lavish dining room overlooking the floodlit cascade. Be sure to factor in time to fully explore the demesne itself, with its picnic house and grottoes, walled garden, pleasure gardens and cascade, the restorative landscaping of which has been overseen by MD (and renowned gardener) Jim Reynolds. The cost is arguably prohibitive to all but the very deep-pocketed, although less so when considered as a full-board alternative to an extravagant city-break splurge - and considering the costly eight-year (and ongoing) restoration. Low-season rates apply from Valentine's weekend, when the hotel reopens for 2016. Full board rates start at €840 (Sun-Thu) or €965 (Fri & Sat) for two people, and include lunch on arrival, afternoon tea, pre-dinner drinks and dinner itself, Irish breakfast and use of the recreational facilities. B&B room rates start at €560 (Sun-Thu) or €685 (Fri & Sat). The demesne is located just over an hour's drive from Dublin via the M7. Contact 057 875-5866 or ballyfin.com.